Call a personal injury lawyer in St Augustine Beach if someone’s negligence has hurt you. Do you have injuries, property damage, and expenses from someone’s careless action? You may be eligible for compensation for damages such as lost pay, medical bills, and pain and suffering. A personal injury lawyer in St. Augustine Beach, FL can help you recover compensation if you qualify. Call the Law Offices of Anidjar & Levine for a free case evaluation. You do not pay for our time unless we recover compensation for your injuries. Call 1-800-747-3733 to get help from a personal injury lawyer in St. Augustine Beach, FL. The Law Offices of Anidjar & Levine has recovered compensation for countless injured and disabled men and women since we opened. We know how Florida’s unique liability and comparative negligence laws factor into a personal injury insurance settlement. Our personal injury lawyers have helped clients recover damages and move on with their lives. We can do the same for you. For your free, no-obligation case evaluation, call 1-800-747-3733. The defendant had a legal duty of care to you to take reasonable measures to avoid the accident. This negligent behavior caused the accident and you, the plaintiff, to be injured. You have physical and mental injuries, and damages in the form of medical bills and other losses. You have four years from the date of the accident to file an injury lawsuit. You have two years from the date of your loved one’s passing to file a wrongful death suit. A personal injury lawyer in St. Augustine Beach will assess your situation to see if you are eligible to seek compensation. For a free consultation, call the Law Offices of Anidjar & Levine at 1-800-747-3733. You should consult with a personal injury lawyer in St. Augustine Beach who has the staff and resources to handle a wide range of cases. An injury case does not determine guilt or need the same burden of proof as a criminal matter. An injury lawyer in St. Augustine Beach must show that it is more likely than not that the defendant caused injury and damages to the plaintiff. 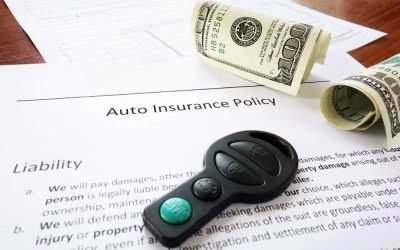 You can document these damages with items such as medical bills, car repairs, and pay stubs for lost wages. Lost pay for missed time at work due to injuries, doctor appointments, etc. Call the Law Offices of Anidjar & Levine for your free consultation. Please call 1-800-747-3733. We focus on helping people who have been injured through intentional or neglectful acts. Our firm has grown, but our commitment to personal, compassionate service is steadfast. Many of our clients have shared their experience on our website, and we invite you to read these testimonials. See for yourself how our injury lawyers in St. Augustine Beach can help you and your family. The Law Offices of Anidjar & Levine works on a contingency basis. A contingency fee basis means you do not pay attorney fees unless we successfully recover compensation for your case. Please call 1-800-747-3733 to see how a personal injury lawyer in St. Augustine Beach can help with your claim. The initial consultation is free.